Kristin is the Vice President of HCU Network America, an HCU patient, and an avid runner. On January 27, 2019 she’ll be running in the 2019 Fitbit Miami Half Marathon. How did she get into running? Kristin got into running about 12 years ago. She says her love of running started with the Broad Street 10 miler in Philadelphia. The thing she remembers most about that race was the expression of pride on her parent’s faces when she crossed the finish line. She later found running could be an outlet for dealing with tough times, such as the loss of her father in 2007 to cancer or the daily struggle with managing the HCU diet. 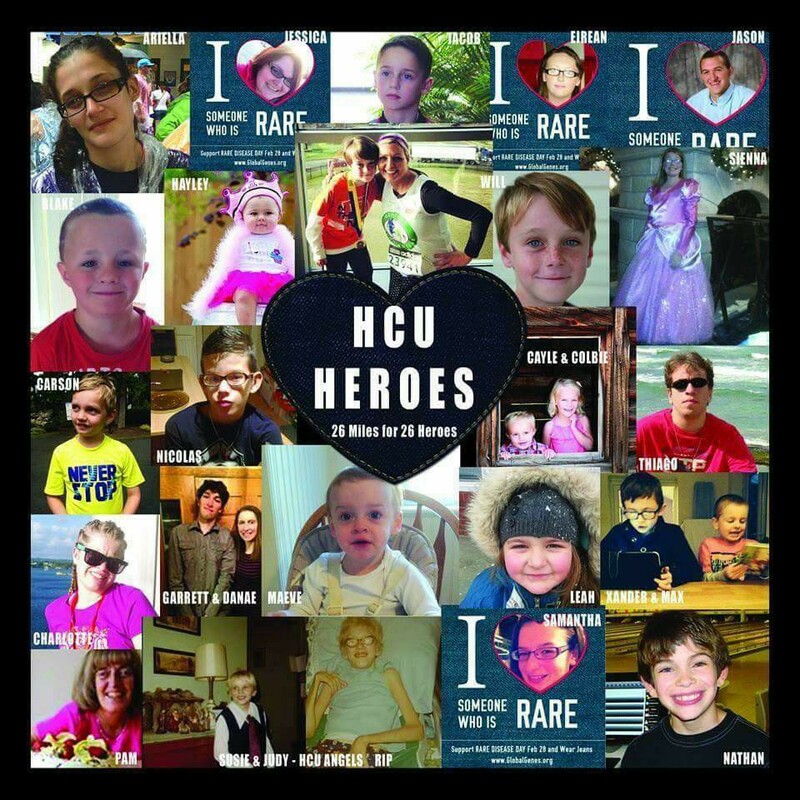 Inspired by the 1st HCU Conference in 2011, she started thinking of ways she could connect her passion for running with her desire to help others struggling with rare disease. While doing some research on the internet, she discovered the Running for Rare Disease (RFRD) Team, a group of dedicated Individuals who run marathons to raise awareness and funding for the rare disease community. In 2012, she joined the team first as a patient partner. Later that same year, she was asked if she’d like to join the team as a runner in the 2012 Boston Marathon. She completed the marathon and was invited back to the team the following year for the 2013 Boston Marathon. In 2013, she ran in honor of Will Hummel, a fellow HCU patient. That year, Kristin was denied crossing the finish line due to the bombing attacks. She was able to run until about mile 24.5 and then all runners were detoured by the authorities to a safer area away from the finish line. Kristin was unharmed. In fact, the bombing only strengthened her resolve to raise awareness & funding for HCU. She immediately increased her fundraising goal and set her eyes on crossing the finish line in 2014. 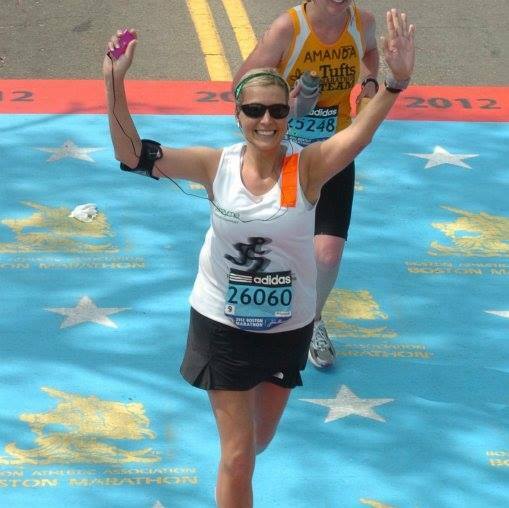 Kristin returned to run the 2014 Boston Marathon in honor of Will Hummel, but she also dedicated each mile to an additional 25 HCU patients. In 2014, she crossed the finish line in honor of all 26 patients. Fast forward to 2018, Kristin has now completed 12 full marathons and has raised over $25,000 for the National Organization of Rare Disorders (NORD) and $5,000 for the American Liver Foundation. The funds she’s raised for NORD have contributed to a restricted research grant for HCU and have helped support NIH’s undiagnosed diseases program. She’s also completed multiple half marathons, several century bike rides, and even a triathlon. What are her hopes for the race? In January, Kristin hopes to cross the finish line at lucky #13, the Miami Marathon. This will be the first time in 2 years that Kristin has set out to complete a half marathon distance, which is 13.1 miles. Since she’s just getting back into running from a bit of a break, the only running goal she’s set for race day is to reach the finish line before the course time limit of 3.5 hours. What are her fundraising goals for this Miami Half Marathon Challenge? Kristin is setting an aggressive fundraising goal of $10,000 for HCU Network America. She will be dedicating each mile of the race to a different HCU patient. Kristin Rapp, is seeking 13 HCU Heroes for the January 27, 2019 Miami Fitbit Half Marathon.